Nobody can resist the dynamic energies and strong influences of the moon. It reflects the light that shines on it as if some mirror. It is an eternal and irreplaceable part of the universe. It is the best melody and the most beautiful dance, which illuminates our life and ignites the fire within. Nevertheless, it is not too intensive. 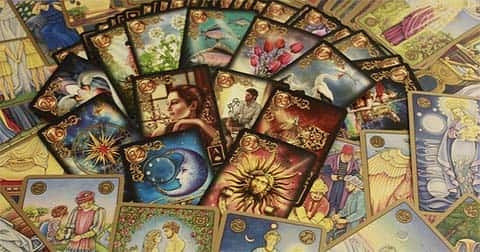 The Moon Tarot can tell the entire story with the cards from the very beginning and up to the end in one flash only. This very story begins with the lobster, which symbolizes us and our purposes and greatness. Appearing from our primeval ignorance (it's not our destruction and disparage, for we do not know our supernal potentials), it begins our trip of the highest purpose and sense. We face all types of influences. As this body is the ruler of Cancer, the crab is obviously connected with it and so, it has become its major symbol. There are great amounts of influences of different sort and it is difficult to get anywhere when these reign. Oftentimes, we go blindly in the great darkness trying to find our greatest and most essential targets. The way is going to be actually complicated. 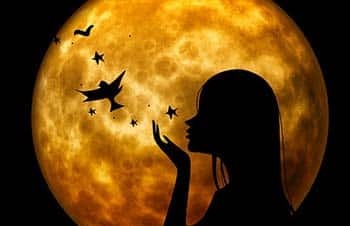 The Moon seems to be our secretive guide in the world of shadow, mysteries and unknown energies. The main question is whether it would lead us to glory or destruction. When it is in its fullness and bliss, we feel and act more confidently. It promises incredible development and a lot of bright ideas and hopes make really become true. In the period of waning, we feel great unease, as if standing at the edge of the abyss. We don't act as confident as we used to. We are at great menace of losing our life objectives and path. The major clue of this card is the impact. There are different impacts that are directed by different powers of the universe and we ought to be aware of them. They affect our choices, determine the manner of behavior and create our life-aims. We have to clear our minds to see exactly what we need and how to reach it. We are to undertake a certain direction and concrete methods of development. When the matter involves our greatest target, we should be intense, diligent and firm in our wish to reach what we actually desire by expressing our Self. 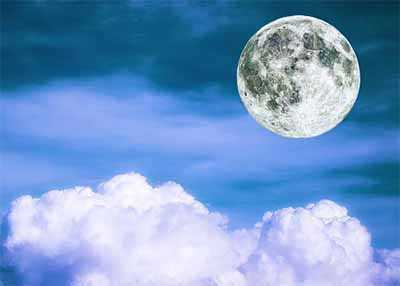 We also have to memorize that we can and really have the power and so, should use the pull of the Moon to create better chances of success. We have to realize the greatness of Moon powers. They are actually enormous and focusing on them, we can use them all to our uttermost advantage. Keep in mind that this body in the heaven is a Light, which serves as the reflection of our deeds in the past. It gives us intuition. It is a common thing that when we drag this card, it will show us a great mess, for there reign multiple influences of all kinds. They can be manifested within any matter, as they really involve all the matters of our life. These influences can easily tear us apart. The message of this card is to remind us that should use this reflection upon our life for a good purpose. We should use intuitive skills to find out the best course for the advancement of our future life. Lots of identities can feel the energy levels of the Full Moon. You should remember that this always means that the Sun and Moon are in opposite to each other. This section is dedicated to different illuminating qualities of this heavenly body from the prospect of philosophy.